New Gear From Computex, finding a sub $300 video camera with audio in jacks, how to block AC line noise, and more on today's Tekzilla. POKEMON SHIELD AND SWORD REACTION! 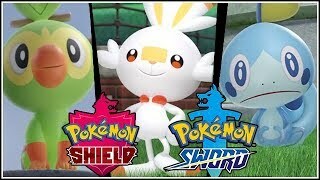 WHAT STARTER WILL YOU PICK?